Versatility combined with reliability are the two words that spring to mind when you mention Bohner commercial kitchen technology. Established over 30 years ago in the German city of Bad Waldsee (also home of Hymer motorhomes) we are proud to announce our appointment as their primary UK distributor. 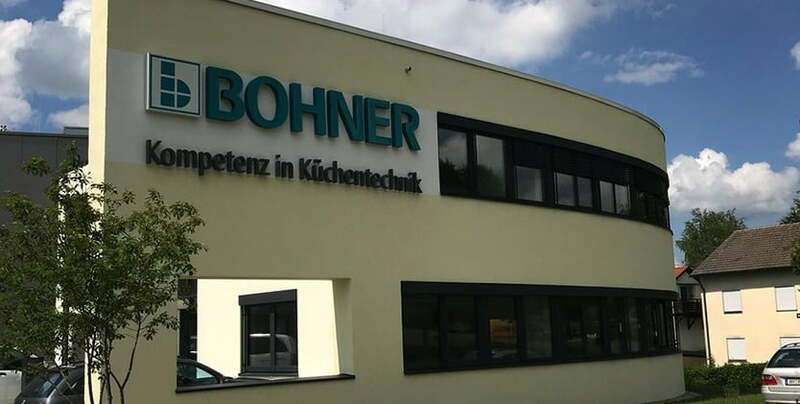 The family run business, with founder Hubert Bohner still firmly in the driving seat supported by his wife Brigitte and three daughters has carved a niche in the catering world for designing and supplying innovative, time saving and energy efficient products for the ever – demanding professional kitchen. We truly believe that this enterprise philosophy coupled with innovation and attention to detail is what has established Bohner as a market leading hospitality partner. The company now offers one of the most extensive range of multi-functional kitchen equipment available today and we are delighted to bring this to the UK market. Also, as a primary partner, we will also be offering Bohner tailor made stainless steel cooking suites. From front cooking fully integrated systems, for even the smallest kitchen, to a la carte custom designed ‘short distance’ cooking suites – all customised to your specific needs.